Bitten, “Scavenger’s Daughter,” was written by the team of Garfield Lindsay Miller and Wil Zmak and was directed by Grant Harvey. Once again, I apologize for the lateness of this review as I’m playing catch up after an illness. This was another fast paced, race against the clock episode with terrific performances. The episode brings the action to a fever pitch, heading into the season two finale. Unfortunately, we lose a core member of the pack – Logan played by Michael Xavier. 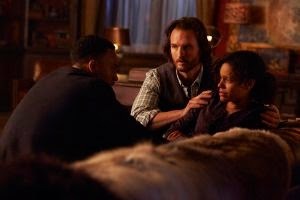 Xavier, Genelle Williams (Rachel), and Greg Bryk (Jeremy) are all brilliant in his final scene. The action heats up and takes place on multiple fronts in this episode. 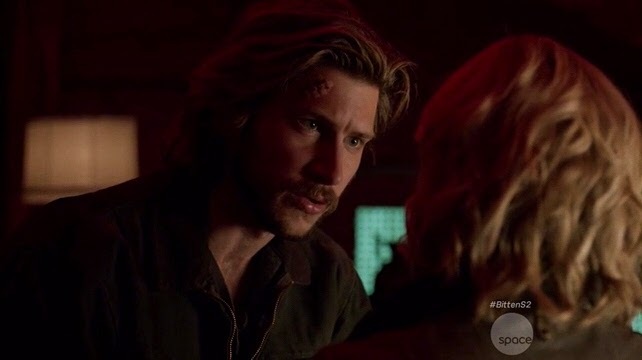 Jeremy apologizes and is forgiven by Clay (Greyston Holt). We discover early on that Aleister (Sean Rogerson) must die before dawn or all of the witches will die – except Aleister as the caster of the spell, Clara (Debra McCabe) because she isn’t a witch, and Savannah (Kiara Glasco) as the conduit of the spell. 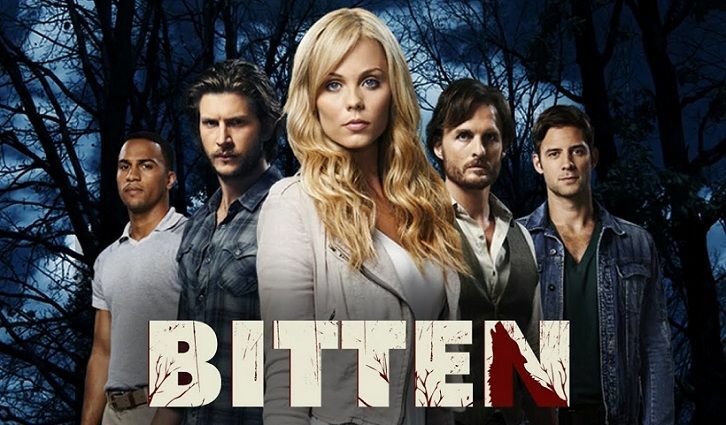 In addition, we find out that Clay’s problems with his eyes, Elena’s (Laura Vandervoort) problems with her hearing, and Jeremy’s loss of control are all caused by the fact that the werewolf curse is lifting as the witches are dying. Whatever form they are in at dawn is the form they will be stuck in forever – wolf or human. The episode nicely teases out exactly what Clara and Aleister’s plan is, beginning with the flashback to a year ago. 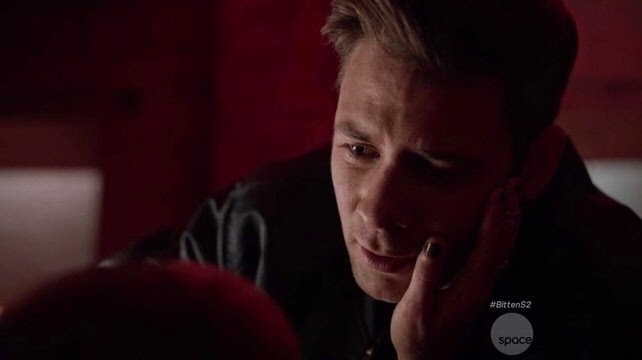 Aleister lures a young woman to the “playroom” in the basement of Clara’s house. We see Clara possess the woman with Aleister casting the spell. We see in the present that Clara is "protecting" Savannah and holding on to her talisman. 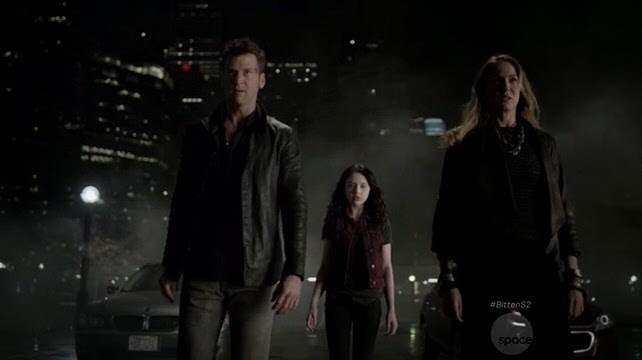 Elena, Clay, Nick (Steve Lund), and Paige (Tommie-Amber Pirie) figure out that Clara is planning on possessing Savannah and taking her power once the Un-doing is finished. The double date of Elena/Clay and Nick/Paige results in two particularly terrific scenes. Lund and Pirie are great as Nick confesses to Paige that he loves her. She is sure that he’s just trying to comfort her, but it’s clear that he’s sincere. 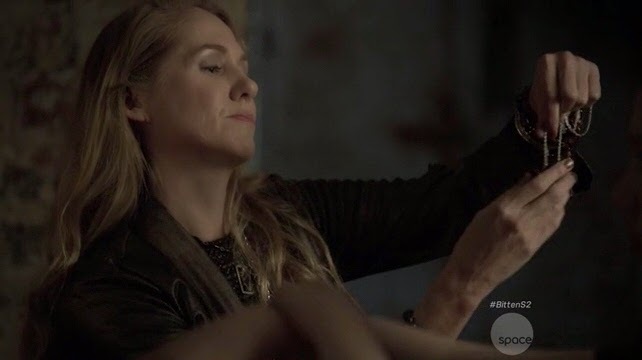 I’ve been slow to warm to Pirie, but there’s no denying the chemistry between her and Lund, and she’s really settled into the role in the last two or so episodes. I loved Elena and Clay supporting each other. Clay tells Elena that if they are stuck as humans, it will mean that their lives will be easier. Elena tells Clay that she loves him for saying so to her. However, she’s changed a lot since the beginning of season one when she would have embraced becoming fully human. Now the wolf is too much a part of who she is and what she’s done. However, the two vow that no matter what the other is come dawn, they will spend the rest of their lives together as either human or wolf. After having these two apart for so much of the season, it’s really wonderful to have them together and completely in sync with each other. Much of the action takes place at Stonehaven with Jeremy convincing Ruth (Tammy Isbell) to fight Aleister’s dark path magic with dark path magic of her own. She manages to concoct a spell that will kill Aleister. I loved Jeremy’s comment that “There is no getting used to this!” Eventually, Ruth insists she needs to go to the catacombs in Boston to finish the spell so that she can draw on the power of the former leaders of the Coven. She insists that Jeremy should be with his own pack to guide them should she fail. Meanwhile, we finally see what’s been happening with Logan and Rachel. 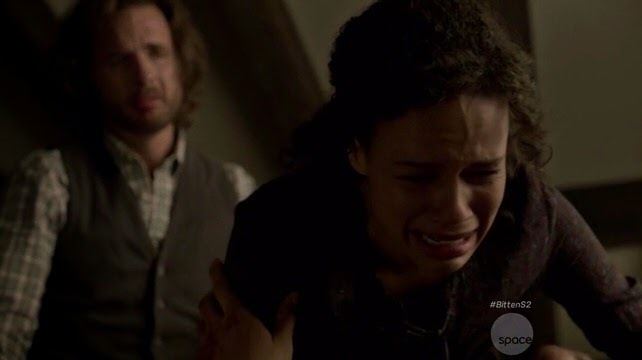 She lies to him that she’s had an abortion which makes Logan reckless. He ends up at a fight club to release his anger and ends up in the ring with none other than Zachary Cain (Noah Danby)! It’s always a good episode to see Danby back! I really, really hope that he will become a part of the pack – and bring back Marsten and Joey while you’re at it please!!!! As it turns out, Clay spared his life after castrating him. Yes, Clay, this means we love you even more. As the two fight, Cain starts to lose control and begs Logan to get him away before he changes. Cain really is a good guy deep down. While with Cain, Rachel calls to say something horrible is happening to the baby. Was anyone surprised that she didn’t have an abortion? Logan brings her to Stonehaven. Logan promises that they will live a normal life once the curse is lifted, and Jeremy seems to accept as well as acknowledge Logan’s choice. As Jeremy and Logan try to make Rachel comfortable, Ruth slips away. Aleister returns to Stonehaven in an attempt to stop his mother from killing him. When he finds only Jeremy, he turns his spellwork on Jeremy and is in the process of killing him when Logan, in wolf form, intervenes. Aleister is able to fatally wound Logan with a set of antlers before disappearing. Rachel arrives to see Logan in his wolf form and dying. Logan changes back to human form. Bryk, Willians, and Xavier are all brilliant in this scene. Rachel declares Logan’s wolf form to be beautiful and her undying love for him. 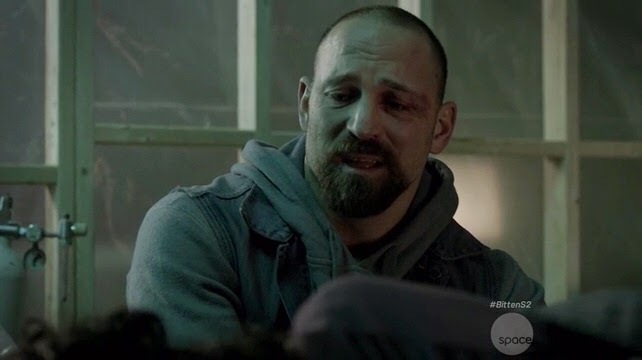 Jeremy is clearly devastated by the loss of his son – Bryk couldn’t convey that more clearly. Logan makes Rachel promise not to keep secrets from their son, but to tell him everything about his father. I’m sad to see Xavier go. 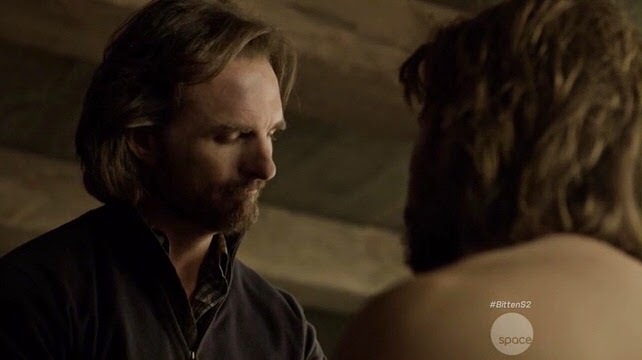 I loved the dynamic between him and Lund especially, but I also liked the balance his character as a psychologist brought to the show. I was also looking forward to them working out a way to keep Logan in the pack. 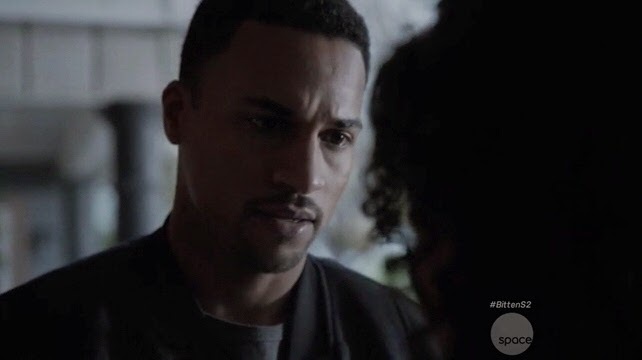 Back at Clara’s house, Nick gets himself and Paige out of the basement while Clay and Elena take care of the spelled police officer Aleister sent after them. I suspect that Elena was injured in the altercation though she repeatedly denies it. Jeremy insists that the group go to Boston to help Ruth. The final shot is of Clara, Aleister, and Savannah arriving at the catacombs. Aleister is clearly in bad shape, but the night must be close to dawn by now! And how long does it take to get from upstate New York to Boston anyway? What did you think of the episode? Were you sorry to see Logan die? If you follow the books, you’ll know that Logan actually dies quite early on in them. Were you surprised to see Cain and Amber again? Let me know your thoughts in the comments below! I do interviews and write articles for the site in addition to reviewing a number of shows, including Supernatural, Arrow, Agents of Shield, The Walking Dead, Game of Thrones, Forever, Defiance, Bitten, Glee, and a few others! Highlights of this past year include covering San Diego Comic Con as press and a set visit to Bitten. When I'm not writing about television shows, I'm often writing about entertainment and media law in my capacity as a legal scholar. I also work in theatre when the opportunity arises. I'm an avid runner and rider, currently training in dressage.